Taking nothing away from Felix Baumgartner's recent record-breaking display of bravery and madness, I came across this the other day. Many superlatives were used in the commentaries both during and after his fantastic achievement. But MSNBC, you need to hold your horses. 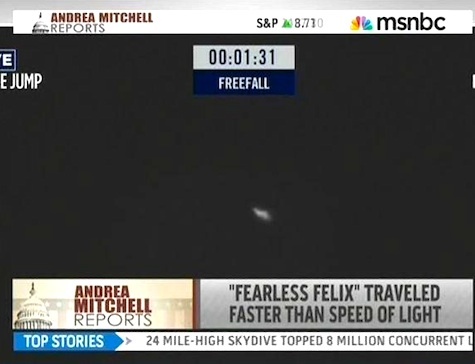 Yes, Felix made a jump and he certainly has drive. But there was no jump drive involved.